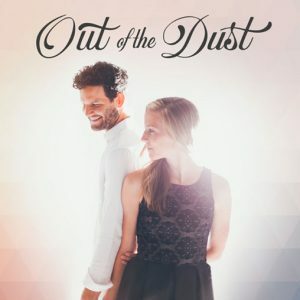 Chris and Stephanie Teague, the husband and wife duo of Out of the Dust, talk about getting married as college students when they were 20 and 19 years old. Cracks in their Christian home soon appeared, however. The Teagues talk about their difficulty communicating as Chris spent time away from home partying. Chris shares why he walked away from his faith, and shortly after, from Stephanie. Bob: Chris and Stephanie Teague met in church—they fell in love / they got married—but Chris was not done chasing things yet. Chris: I remember this pattern of idolatry in my life—jumping from one thing to the next; you know? First it was marriage; you know?—I thought that was going to be incredible and fix me and be everything. Then it jumps to school and music—and pursuing that. Then it jumps to drugs, because that didn’t do it. The parade of idols and counterfeit gods in my life—I welcomed them all; you know? They just all came down the pike, and nothing satisfied. Bob: This is FamilyLife Today for Monday, September 25th. Our host is the President of FamilyLife®, Dennis Rainey, and I’m Bob Lepine. Chris and Stephanie Teague join us today to tell us about the undoing of their marriage. Stay with us. And welcome to FamilyLife Today. Thanks for joining us. You know, every marriage is going to face some bumps in the road / some potholes—sometimes, when maybe you’ve got to pull the car off to the side and get things worked out. Some marriages face detours that are unexpected—and some detours, where you wonder if you’re ever going to get back to the right road, or maybe you don’t make it back on the right road. Dennis: Well, I’m thinking of this couple. This is a situation where the bridge was out. Dennis: It wasn’t a detour—it was out. It’s not often I introduce a couple as having been married since 2006 and 2011. [Laughter] That doesn’t happen very often; but I want to say, “Hi,” to Chris and Stephanie Teague, who join us from Nashvegas! Dennis: Nashvegas, near my grandkids. Dennis: Yes; four of them. Stephanie: Thank you. Thanks for having us. Dennis: I’m glad you’re here. In case our listeners don’t know, they have formed a group called Out of the Dust. They have got a brand-new LP; is that right? Dennis: Is that how you say it? Dennis: Long play; that’s right. Well, they have two children as well. I want to take you back to when you met. Tell our listeners what happened in Philadelphia, Chris; we’ve got a lot of listeners in Philly that I think will be interested in this—WFIL. Bob: Yes; this was a mission trip that you guys were on; right? Chris: That’s right. They would be probably interested to know that it felt like a culture shock coming from Nashville—these two little small-town kids going to a big city. We were there to minister and do some VBS. Stephanie and I met at the training. I think she would tell you the guitar that I played probably had a big part in her attraction to me. Dennis: Was his guitar prettier or more handsome than him? Stephanie: It’s definitely the combination of the two that gets any 16-year-old girl; you know! Bob: Chris, you grew up in a home where your dad left your mom when you were young. Bob: [Later,] he died when you were 12? Bob: And you were raised by your mom. Spiritually, it was kind of up and down for you throughout your young life? Chris: I think so. God really became real to me when I was in high school. I got involved with a lot of ministries, there at the high school I was at. Then, I got into a relationship—like young kids do—and that sort of led to me falling away and turning away. It was after that relationship ended that I felt—the crazy story is—I felt God tap me on the shoulder. I’m reluctant to say anything like that, but it was amazing—the story of how I ended up on the trip to begin with. We were sitting in the service. I felt a tap on my shoulder. My mom had been bugging me about it; so I turned to her to say, “Yes; I know; I know.” I turned, and she was just staring completely forward—her hands were in her lap. Dennis: So, Stephanie, what about you? Did you grow up in a Christian home? Dennis: You had a faith from a young age? Stephanie: Yes; yes. I was blessed to grow up in a very strong, Christian home—very loving home. Both of my parents were also raised in the church—so, really, a comfortable, safe environment. Dennis: You had signed up early for the mission trip, then? Bob: And you were going with a noble mission-minded agenda. Bob: You weren’t out scouting boys; right? Bob: But somehow, on that trip, the two of you—did one of you sit down on the bus next to the other one? Stephanie: Well, I—it’s so unlike me, but, you know—I had noticed him in training. I was intrigued by him. I specifically remember picking a seat kind of close to him, just so I could get to know him a little bit. You know, it was a 12-hour drive on a school bus from Nashville. So we ended up—maybe halfway through the trip—groups of us starting playing cards. We ended up in the same group, playing Spades; I think—and kind of never stopped. Chris: The rest is history. Dennis: So how long before he asked you to marry him, and how did he do that? Stephanie: It was, I guess, two years into dating. We were both in college, at that point, at MTSU. We were on a trip with his mom. She took us to—where were we?—Myrtle Beach, I think, South Carolina. He knew I loved the beach—one of my favorite places. So, he got me up at sunrise—we walked the beach, and he got down on one knee and proposed. Bob: Chris, because your parents had divorced at a young age, how did that shape your thoughts about marriage? Here you are—diving in, early, to marriage. Bob: Was that, in part, because of the divorce that had happened; do you think? Chris: I don’t really know. I mean, I didn’t have an example. Becoming a father, just in the past couple of years, has helped me sort of deal with and unpack some of that stuff. But I just didn’t really have a day-to-day—my grandfather was incredible—he was a huge part of my life; but I didn’t have a steady day-to-day dad coming home / mom saying, “Hey”; you know?—kissing and all—I didn’t have that. I didn’t have a good example. So I really was just sort of going in blind, you know, with my hands over my eyes, I guess, sort of hoping for the best. Chris: Tell them what your mom said! Chris: That was her first impression of me. Stephanie: That was her first impression. Chris: And she was right—to her credit. Bob: So, if I were your dad, one of the questions I would ask you is: “Tell me a little bit about Chris’s walk with the Lord. Would you say he’s somebody who’s solid in his faith?” How would you have answered that before he proposed to you? Stephanie: At that point, you know, when we started dating, we were seniors in high school. We spent hours at night talking on the phone—we would read passages together. God was very much the center of our relationship. We did all sorts of classes at church together. I think we truly were pursuing the Lord and what He wanted for our lives, but that slowly declined. Chris: And I do—I remember—we would just talk on the phone: “Hey, guess what I read today! You’ll never—let me read this to you!” So, we definitely had God in the right place or were trying to keep Him at the center, very early on. Bob: —you stood “before God and these witnesses,” looked each other in the eye, and said, “…’til death do us part”; right? Dennis: Was there something about your wedding day that was out of the ordinary? Bob: Walk over and get your guitar and let’s hear this. Dennis: Chris, our audience gives us a lot of grace. Dennis: I’m sure they’ll give you some too. I think—I think that you do too. Bob: So everybody was crying. Stephanie: Of course, I was tearing up; but I don’t think I was crying. Stephanie: It wasn’t too long—you know, I would say in the first year of our marriage. Overall, it was great—it was kind of that stereotypical honeymoon phase; but there were definitely things that popped up—both of us coming in, as everybody does in a marriage, coming in with our expectations—some that we were aware of / some that we were not aware of. Dennis: —after he married you? Bob: Like a Friday night?—where you’re both free; and he says: “You do whatever you want to do. I’m going to go hang out with the guys”? Stephanie: Yes! Like I would think / I would expect him to come home after work. Instead, he’d want to go out and go hang out with his work buddies. Bob: And somebody, along the way, suggested that the two of you guys should go to a Weekend to Remember®; right? Stephanie: We did! I think that was a couple of years in; yes. Stephanie: But there were some great breakthroughs. Chris: Yes; we had some huge breakthroughs after that. Bob: Do you remember anything from the Weekend to Remember that was kind of an “Aha!” moment for you? Stephanie: I think the communication was huge—the session on communication—because we did not deal with conflict well. Chris: We were polar opposites as far as personality. Any test that you take—if there’s a spectrum—then, we’re going to be at the opposite ends. Bob: And there did come a point, after you’d been to the Weekend to Remember, Stephanie, where you started noticing, maybe, some drifting / some isolation that was happening, where you just sensed that something wasn’t right in the relationship. Stephanie: I did. Some of it was the people that he was hanging out with—people that, just in my spirit, I didn’t feel right about—but, again, our communication was so poor, at that point. If I said anything, he’d get defensive; or I would come across, I don’t know, kind of arrogant about it or judgmental. So then, of course, then he’s getting defensive. I didn’t feel comfortable with his friends. He went on a trip with school to Russia; and he did admit to me some drug use that happened then, which was a little scary for me; because that’s something that I just had never been exposed to or expected to have in our marriage. Chris: That is what came out of the FamilyLife conference, by the way. Bob: That’s where you fessed up? Stephanie: Yes; he admitted to that; yes. Chris: Yes; a few years before the big fall-out; yes. Bob: What was going on with you?—to be curious about that and to want to experiment with that? Chris: That’s the best question you could ask! After we went through what we went through, our pastor gave me a book called Counterfeit Gods by Tim Keller—incredible book! It helped me recognize this pattern of idolatry in my life, going from this thing to this thing. Nothing satisfies; so you just keep jumping from one thing to the next; you know? First, it was marriage; you know? I thought that was going to be incredible and fix me and be everything—and that wasn’t so. Chris: Yes; U2—great reference. Yes; the parade of idols and counterfeit gods in my life—I welcomed them all; you know? They just all came down the pike, and nothing satisfied. Dennis: We scooted past it; but 1 Corinthians, Chapter 15, talks about bad company corrupting good morals. Dennis: I don’t think we talked much about this; and we probably should, here, on the broadcast—that who you hang out with and who you are kindred spirit with is determinative around the spiritual well-being for your own soul—but also those who are closest to you—if you’re married: your spouse / your children. Talk about the influence these friends had on you and how dangerous it was. Chris: That’s great. I was an only child. My mom—I never lived in the neighborhood that I went to school at—so I didn’t have the opportunity to just hang out with a lot of people. I spent a lot of time, alone, as a kid. As we got to college, it was like you’re right there—we’re living on campus; there are friends; we’re in college and married. I have friends at work, now, that live close. I think, for the first time in my life—and this isn’t a pity party—this is just sort of where I was at that time—I had friends that I could go hang out with, you know, at a very prime time in my life. The places that I was at were college, and the music industry, and restaurants with servers. I did notice that there was an influence; but at that time, there was a naiveté about what it was doing to me. Dennis: You’re nodding your head, Stephanie. Stephanie: Yes, yes; because I could see it. I could see it when he came home. I could see the conversations that would happen—just the way of thinking was shifting. —but you were starting to question your faith; right? Chris: Absolutely! I’ve always loved science and apologetics; but as you—again, as you go off to university and get in that life and that realm—I didn’t have any professors, necessarily, that were just shoving it down my throat—you know—godlessness and “How can you believe that? !”—but slowly, the naiveté—those things can be subversive to faith if you don’t know what to look for / if you don’t—and not sharing that with anyone, and keeping that all inside—because, like I said, I did spend a lot of time alone. Even though I’m an extrovert, I’m a bit of a weird extrovert; because I hide—I’m a great hider! —not having that checks and balances system / the naiveté that I had—I didn’t see. The wall gets built behind you, brick by brick; and you don’t see the bricks being laid until you turn around one day and see that there’s this huge wall between you and God or you and your wife. It happened so slowly, at times, that I didn’t even see the bricks that were going down. Dennis: What you’re really talking about is hanging out with people who have a worldview that is different than someone who has a biblical and a God-centered worldview. Dennis: And if you’re going to hang out with those people, they’re going to train you to think differently about circumstances, and about life, and choices than those who are influencing you for Jesus Christ. Parents, who are listening to this—kind of thinking about raising their sons or daughters and going, “I don’t want to see my kids go through that,”—you have to train them in how to think, critically. I know, if Barbara were here, she’d be pounding the table with us around helping your children—helping the singles in your life, who you’re friends with—think about life from the Book—not to the Book—but from the Bible, allowing the Bible to inform your decisions, and who you hang out with, and how you behave. Bob: —where you were expecting that you and your husband were going over to your family’s house for dinner. Bob: He came home and said, “I need to talk.” What he said was stunning. Dennis: How long had you been married? Stephanie: At that point, it was three-and-a-half years. Bob: And blindsided you completely? I didn’t get to that point; because that night, he sat me down and I knew nothing. I knew nothing of any drugs. I had no idea he was at the point that he was with his faith or with our marriage. I had no idea! Dennis: You were hiding from your wife. Chris: There you go. I’m great at it; yes. And I did want to jump in—I remember several really key moments in my life, on the negative end of the spectrum—and it goes back to the garden, in my opinion / you know, with Adam and Eve—the serpent / the adversary said, “Did God really say that? !” And some of the most pivotal moments in my life that have led to the biggest destructions are when I knew in my heart—you know, we said—we said: “We will never get divorced”; you know? And some of those times—when I remember / I look back and I heard the whisper: “Do you really have to stay married? Do you really have to?” Those smallest ideas can just blossom in your mind if there’s fertile soil for them to take root in. Dennis: And how long before you divorced her? Chris: Yes; as soon as I could find a lawyer; you know? Dennis: At the Weekend to Remember, our marriage getaways, we talk about how every marriage is either moving toward oneness or it’s moving toward isolation. Dennis: —without challenging him, and going after him, and confronting him. In isolation, the enemy can convince you of anything. Dennis: And that’s exactly what happened. Bob: I’m just sitting here, thinking about what’s going to be taking place this coming weekend in Tampa, Florida, as couples get together for our Weekend to Remember marriage getaway in that city. We have a lot of couples who come at various places in their marriage—a lot of couples who are doing well and they simply want to do preventative maintenance on their marriage—but there are couples at various stages of isolation when they show up at the Weekend to Remember. Over those two-and-a-half days, we see couples who begin to move toward one another / move toward oneness in their marriage; because they learn some things they hadn’t realized. 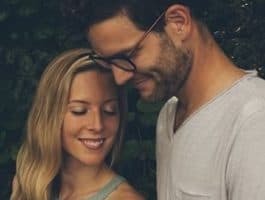 They begin to apply what the Bible teaches in their marriage; and by the time the weekend is over, they have both hope and help for their marriage again. —join us at an upcoming getaway this fall. Go online to find out when a Weekend to Remember is coming to a city near where you live. Find out more about the Weekend to Remember at FamilyLifeToday.com, or call 1-800-FL-TODAY if you have any questions. You know, one of our convictions, here, at FamilyLife is that the God of the Bible is the God who can take things that are dead and can bring them to life. He’s the God who raised Jesus from the dead / He’s the God who brings us from spiritual death to spiritual life. He’s the God who can take a dead marriage and breathe new life into that marriage. Our goal, here, at FamilyLife is to provide practical biblical help and hope to effectively develop godly marriages and families. Your support of this ministry helps us get this message to more people in more places all around the world every day. We’re grateful for those of you who partner with us to extend the reach of FamilyLife Today. In fact, if you’re able to help with a donation today, we would love to say, “Thank you for your support,” by sending you a copy of Dennis Rainey’s brand-new book—it’s called Choosing a Life That Matters. It really deals with the foundational spiritual issues in all of our lives that need to be grappled with and resolved if our marriages and families are going to be built on a firm foundation. Request your copy of Dennis’s new book, Choosing a Life That Matters, when you make a donation today, online, at FamilyLifeToday.com or when you call 1-800-FL-TODAY to donate. You can also request the book when you mail your donation to us at FamilyLife Today, PO Box 7111, Little Rock, AR; and our zip code is 72223. Now, tomorrow, we’re going to hear about the events that led up to the end of Chris and Stephanie Teague’s marriage—what led them to divorce. I hope you can tune in for that. I want to thank our engineer today, Keith Lynch, along with our entire broadcast production team. On behalf of our host, Dennis Rainey, I'm Bob Lepine. We’ll see you back tomorrow for another edition of FamilyLife Today. FamilyLife Today is a production of FamilyLife of Little Rock, Arkansas; a Cru® Ministry. Help for today. Hope for tomorrow. Copyright © 2017 FamilyLife. All rights reserved.